The transformation of the Leeds Community Foundation offices has completed. The project, worth £60,000, saw a team of over 40 volunteers work for three weeks to refurbish the charity’s facilities. Leeds Community Foundation supports thousands of charities and voluntary groups across the city, addressing inequalities and working to create opportunities for those people that need help the most. They invest in these groups by distributing grants and sharing advice, acting as a catalyst for positive change. The Foundation relies on the generosity of individuals, businesses and public sector organisations to help local people access the support they need, while investing in a brighter future for all. 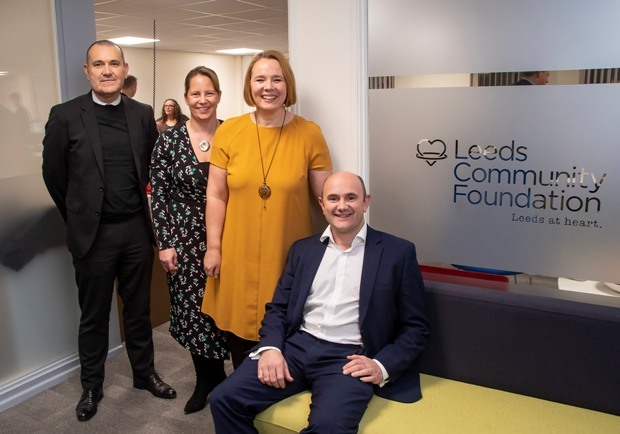 Karen Devonport, finance director at Leeds Community Foundation, said: “Our team work incredibly hard to support charities and community groups working throughout Leeds and Bradford. We were in real need of a vastly improved working environment to enable us to continue our vision to provide a city of opportunity for all.